You have arrived with your 60-card deck. You know the words, the plays, and the cards. You are matched with an opponent and soon you begin to play, but what is this? Cards that do little damage, cards that inflict damage across your board? Wait, why are they playing this card instead? Why are you not getting the cards you need to win? That, my friend is because you are missing one of the most important first steps in the Pokemon TCG— deck building. Deck building is one of the most important fundamentals of any Trading Card Game. One cannot simply hash a 60-card deck together with your favorite Pokemon and call it a day. You must consider what makes the deck run; a deck engine so to say. Just like a car without a good engine, you will not make it very far without a streamlined and efficient deck engine. To be the very best, you must know the in's and out's of making a deck, so you can deconstruct your opponent’s on the day you face them. What is a Deck engine? 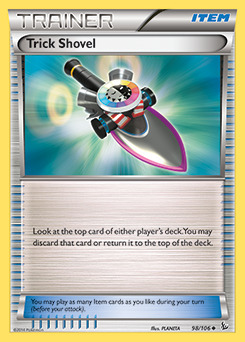 In TCG terms, a deck engine is a method of increasing the consistency of your deck, usually by searching or drawing cards. If a deck is consistent during all stages of play, it will have higher chances of winning. Let us take a look at an example with mulligans. You have a 60-card deck; you and your opponent draw seven cards. What are the chances of having one Basic Pokemon in your hand? You do not need to know this fancy samcy statistics, but it is important to note. If you are interested in the stats, I suggest looking up the term hypergeometric distribution. But what this calculation highlights is the probability of having NOT to give your opponent a mulligan at the start of the game. Each mulligan given to your opponent is a card advantage to them, remember this. So how do we increase consistency or fine tune our engine? For one, you can run more copies of a card, making it easier to find that card. You also add search cards, draw cards, and support cards that can make it easier for you to find specific cards. This format is probably the most common and popular format you will find in any official or local leagues. This format is the second most popular. However, do note that during certain major events, many leagues and tournaments can potentially shift to Expanded format for practice for upcoming big tournaments for their local players. Expanded also has a ban list that is updated every time a major expansion is released. The ban list can be seen here. These decks focus on the board state (though all players should be paying attention to the board state) and control the pace of the game. Forcing your opponent to play on your own terms can allow you to force risky or even non-optimal plays from your opponent, possibly placing you at an advantage. They can control the board by playing disruption cards, energy denial, or locking your opponent. 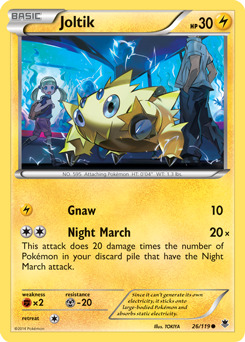 Decks such as the infamous Sableye/Garbodor in Expanded, control the pace of the game by drawing many support and disruption cards to frazzle your opponent’s set-up. 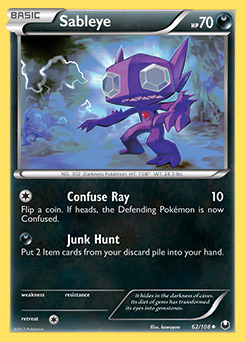 Sableye/Garb prevents your opponent from using abilities with Garbodor, playing many energy denial and mill cards to deprive the opponent of resources to turn the game around. 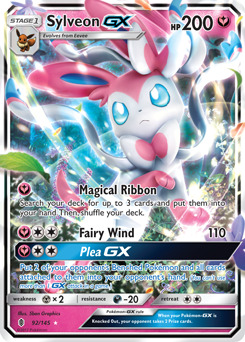 Recently, a Sylveon-GX deck won a major event in Europe, however due to the differences in tactics and card availability in Standard vs. Expanded, it also attacked after depriving energy resources of its opponents. These decks focus on milling or discarding your opponent’s card to prevent them from using those cards in the first place. Though there are many cards that can be retrieved and played from the discard pile, by discarding them before your opponent can use such cards can force them to employ them early, which weakens their mid or late game position. The preferred method of winning is to make your opponent run out of cards, causing a deck-out. Many mill decks are also Control or Stall decks, as the goal is to deck out your opponent before they can knock you out. 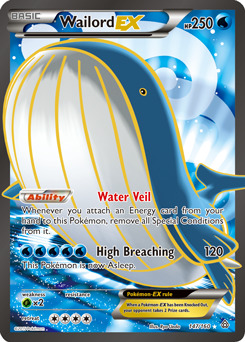 One of the the most imfamous in Expanded is the Wailord EX/Wishiwashi-GX stall/Mill deck. In conjuction with Hoopa from Shining Legends, it forcuses on using high HP Pokemon to tank damage, lots of energy denial and other disruption cards, and healing cards to sustain the Pokemon. These decks are all about the knockouts and consist of the majority of decks in the game, due to the nature of time-outs. In best of three rounds, you have 50 minutes including set-up time to play two games. Because of this time limit many players prefer to defeat their opponent in one game and tie the other. These decks are typically speedy and fast paced, but can potentially wear themselves out if you are not careful with resource management. The goal of this deck is to obtain all six of your prize cards before your opponent does. Many decks in the current format such as, Buzzwole, Zoroark-GX, Gardevoir-GX, Rayquaza-GX, and Vikabulu zero in on setting up their board to streamline a series of OHKOs to obtain fast prizes. Of course, they can overlap with other play styles or utilize other play styles to exploit or counterplay other weaknesses. In Expanded the decks are even faster and more aggressive due to the plethora of card cards available. 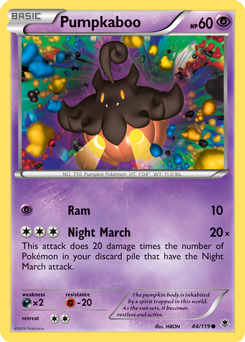 Older decks in Expanded such as Yveltal-EX/Darkrai-EX decks or the rapid discard power-up deck, Night March have done pretty well in tournaments even to this day. 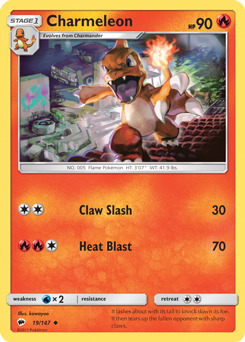 These decks utilize high HP Pokemon, healing, disruption and damage mitigating cards to allow the clock to run out. These decks are typically also a form of control or mill decks, as they force a win by decking out the opponent. Once they win game one, it is hard for the opponent to win the second game or third game within the time limit. Wailord EX is a high HP Basic Pokemon with 250 HP. Since the deck never attacks, it does not have to utilize deck space for energy cards. In combination with other Pokemon for support or to mitigate damage from certain kinds of Pokemon (Hoopa from Shining Legends), Wailord literally sits in the active position and mills the opponent out. WIth many healing cards such as Max Potion, Acerola, AZ and disruption cards including Enhanced Hammer, Hugh, Team Skull Grunt, alongside support cards such as Tropical Beach, this deck is a major pain to take out. These decks can be a combination of any of the aforementioned play styles. These decks are successful because they counter the most popular decks by exploiting a particular trait that comprises of the majority of the decks, but can potentially lose to lesser known decks. Ironically, anti-meta decks can become the metagame, thus another anti-meta deck rises to take it out. 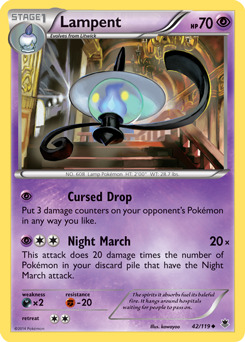 Currently, decks that run Shrine of Punishment punish many of the strong aggressive decks because they use GX Pokemon to attack. 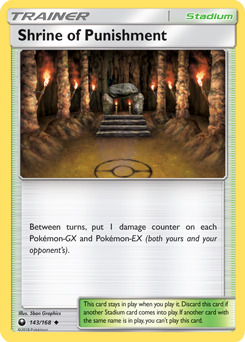 Shrine of Punishment places one damage counter on each GX Pokemon in play in between each player’s turn, so if the opponent has no answer to it, then the effects will slowly wither down their Pokemon, ripe for a knock-out. These cards are the bread and butter of your deck, without them you cannot even play the game. They knock out, tank, confer special abilities all for your win condition. There are many types of Pokemon each with their strengths and weaknesses. Many Pokemon can evolve and become stronger forms from their former selves, the typical line is Basic -> Stage 1 -> Stage 2. These cards can search (tutor if you come from Yu-Gi-Oh or Magic the Gathering) for other specific cards to allow you to set-up your board, complete an attack, disrupt an opponent, etc. to increase the consistency of your deck. Many cards have a condition you must fulfill in order to use them. 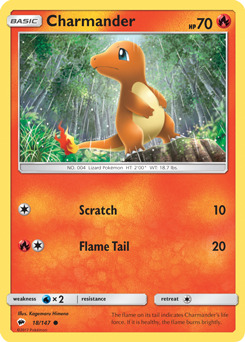 Such cards are especially common in most decks, such as Ultra Ball or Nest Ball. These cards punish your opponent from their use. They can discard energy, remove cards from play (send them to the Lost Zone), discard cards, prevent your opponent from attack or even using Trainer cards or abilities. 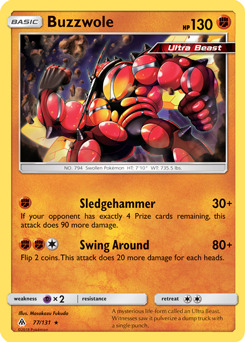 Cards such as Garbodor and Hex Maniac (banned) prevents you opponent from using abilities, Crushing Hammer and Enhanced Hammer discard your opponent’s energy, or Judge and N which forces your opponent to refresh their hand (potentially smaller than they were before) and other cards have an attack effect preventing your opponent from retreating or even attacking. These cards are some of the most important cards you can ever place into your deck for deck consistency. They allow you have have more cards in your hand, therefore more resources for you to use in your turn. They can also be used to refresh your hand, preventing you from having a dead hand. 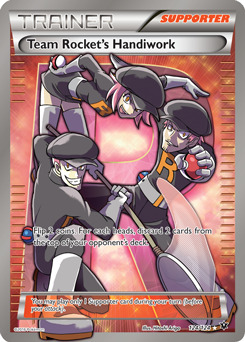 Cards such as Judge, N, and Cynthia refresh your hand in addition to disrupting your opponent’s hand by shuffling the cards in the hand into the deck and drawing based on the card text. Other cards can have straight up powerful draw effects for a price, Professor Sycamore/Juniper can allow you to discard your entire hand, but draw seven cards or Sophocles, which allows you to draw four cards but discard two in your hand in addition to those four. 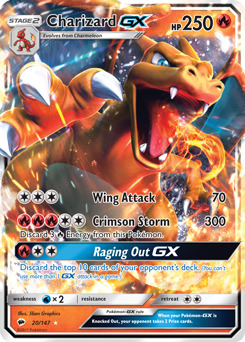 Compared to other major Trading Card Games, Pokemon has a larger deck in combination with a energy and evolution system, so overall the draw power of many draw cards are stronger than they are in other Trading Card Games. These cards can be in other categories, but their purpose is to provide some useful effect that benefits you in some way. These cards can increase consistency, swap Pokemon from your Active and Bench position, or heal your Pokemon. The reason for their inclusion is that they give you choices on how to proceed. Cards such as Tate & Liza have two effects, but you must pick one. You can choose to refresh your hand for five new cards or switch your Active and Bench Pokemon. This opens options for your play and can disorient your opponent. Other cards such as Professor Kukui allow you to draw two cards and allow your Pokemon to do 20 additional damage or Guzma which forces your opponent to swap their Active Pokemon with another Bench Pokemon of your choosing. As covered in previous articles, Stadium cards are field effects that remain until they are discarded from the Stadium zone. It doesn't matter who played the card, both players have the effect of the Stadium card on their board as long as it is in play. These cards can confer a beneficial effect for your board or detrimental effect on your opponent’s board. These cards can be in any category, but their major purpose is to cover for potential weaknesses in the deck or to counter specific matchups. They can be higher counts of a card you already use or specific Pokemon/Trainer cards to counter the metagame. Some Pokemon have solid attacks that do significant damage against other types of decks. For example Deoxys (67 CLS) does more damage to some Fighting type Pokemon based on the number of energy cards attached to your opponent. This is a tech to punish your opponent’s reliance on certain Fighting Type Pokemon. Do be careful you can overtech a deck by taking into account too many different decks that it ruins the consistency of your deck. Sometimes it is better to maintain the consistency of your deck than to tech for an uncommon matchup, as there are some decks that can do well, provided they can be consistent even against their own weaknesses. Some people play the Pokemon TCG because they bought a theme deck for a discount or happened to play it online. Though some theme decks are a decent starting point for understanding the mechanics and rules of the Pokemon TCG, it comes with one major flaw, uneven and non-competitive card distributions. We have previously covered the types of cards that should be in your deck and theme decks typically have an unequal distribution of these cards, often resulting in an inconsistent deck— a true deathmark of any Pokemon TCG deck. However, theme decks, particularly, Mach Strike from Ultra Prism is a solid deck to learn interesting mechanics. You could buy two Mach Strike decks and combine them for a solid budget deck. There is no set formula for a successful deck as long as it covers one aspect, consistency. A consistent deck wins games, even if your luck is somehow terrible, a consistent deck can allow you to regain your footing as the game progresses or win the next two games in a best of three. Even with no set formula, there are some easily identifiable trends. More competitive decks do not run 20 or more energy cards as commonly seen in theme decks, but rather a number between 8-15 energy cards. Also many decks keep consistency by running several search/tutor and draw cards between 8-15 cards. A great way on learning how to build your deck is to net deck. Net decking is using resources to copy (with some minor personal changes) a deck that was used online or posted from a recent tournament. 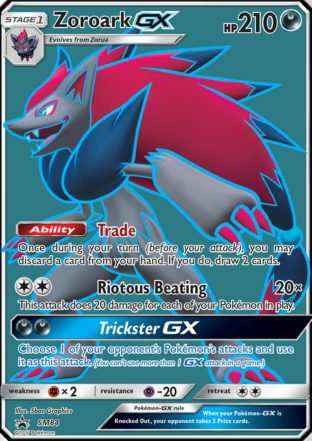 Even though you are directly copying a deck (at least there is no plagiarism rule in Pokemon when it comes with decks) you will learn why certain cards are ran in these decks and how certain card combinations work. Personally, I think it is an invaluable tool for learning the metagame and to understand how the pros make a successful deck. You can find recent results from major tournaments online on Limitlesstcg.com or Virbank City/Heyfronte Facebook groups. No deck is infallible, all decks, no matter how well researched or well-built can fall in the face of bad luck. In certain situations a bad starting hand, dead hands, dead draws or even having a majority of your Pokemon or energy cards in the six prize cards can be catastrophic to the most experienced player. I have seen this many times on stream in official major tournaments. But what if I told you there are ways to mitigate the fallout from such a disaster? This seems to be a no brainer, what kind of player does not own his/her own deck? Though many understand the basic weaknesses and strengths of their deck they may not have enough knowledge of their deck or the metagame to account for sudden changes or in the face of bad luck. It is a good idea to remember what is in your deck before you play. Many cards allow you to search your deck, which means you can see what is in it, in tandem with cards that are currently in your hand, play zone, lost zone, and discard pile you can determine what cards are in your six prizes and account for it. Many players, especially newer players do not do this. Another aspect to know is the limitations of your deck in a bad situation, is it wiser to conserve resources or to play more aggressively to obtain more resources? Some people play the prediction game, utilizing knowledge gained throughout the game to anticipate potential roadblocks and problems. In a the face of such disaster, a possible strategy is to scoop, or surrendering the current to game to your opponent, provided it is an intelligence decision. What is an intelligent decision? One that takes into account of the resources you and your opponent have, current board state, and other additional outside knowledge (i.e. environment, momentum, time remaining, etc.). With all this information and there is a infinitesimally small chance of recovering or outplaying your opponent, then it might be better to give up a game to your opponent and win the next two games (in a best of three). Each game takes up energy, energy that may be difficult to maintain in a long tournament, sometimes you can conserve your energy by scooping and resetting the entire game state, a fresh start. What is momentum? Well it is equal to the amount Force exerted on the object times its velocity … wait wrong momentum. Momentum is a term commonly used to describe the state of one’s mentality. Should someone realize that another person is in a disadvantaged position, they can pursue that disadvantage and make it an overwhelming push to win. Disrupting that momentum can bring your opponent’s advantage in mental state and confidence to a halt, especially if the fresh brings them to a disadvantaged state. Do note this strategy is not optimal or should not even be considered in a best of one round. Consistency, consistency, consistency, you can dramatically reduce the odds of having bad luck or dead hand by playing more consistency cards, such as support or draw cards. By maintaining this consistency you will be able to get into the groove or flow of your deck, even without a couple pieces. If consistent enough, you can outplay your opponent and come out on top. Thank you for reading this rather long article all the way through. I hope that you have earned much knowledge in deck building. 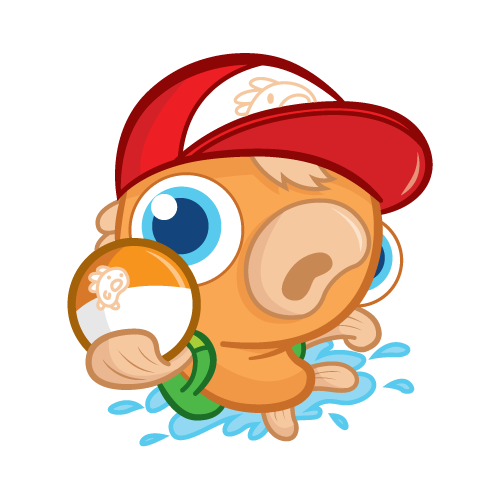 Please check out pokegoldfish.com for more quality articles. 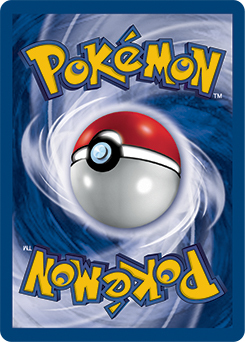 If you are interested in playing the Pokemon Trading Card Game, you can play the free online client at Pokemon.com. And please refer to our Glossary for all your Pokemon Trading Card Game terms.